Sedona Vortex!? … What Is Is And How Can You Tune In? Sedona is truly a spectacular and sacred site in the United States. I’ve had the incredible pleasure of living here for the past few months and I’ve thoroughly enjoyed hiking to and meditating at the many known and relatively unknown vortex sites. While the thought of tuning into Sedona Vortex Energy may sound a bit “new age”… The reality is, this energy is nothing new! For eons, Native Americans including the Yavapai, Hopi, Sinagua, Anasazim and Hopi have celebrated and recognized the spiritual energy and power of the Sedona Vortex sites, by honoring the Earth and land through sacred ceremony. Join me in some friends in exploring the 4 Main Sedona Vortexes Here! 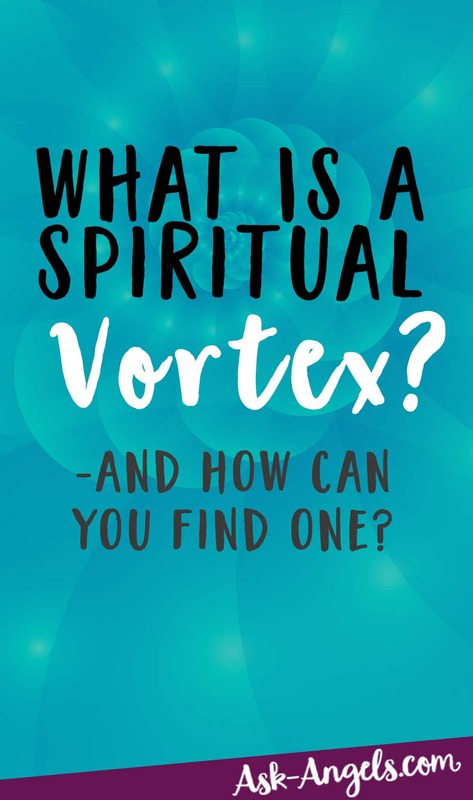 But what is a vortex exactly, how can you find the ones near you, and how can you tune into the amazing vortex energy once you’re there? When talking about vortexes, we’re talking about energy flowing in a circular or swirling motion, which then causes a vacuum at the center. There are tons of vortexes (or vortices) all over the planet – some are quite famous; some may even be right in your back yard! Vortexes are powerful energetic spots on the Earth energy where the life force energy of the Earth is at its purest; they are strong manifestations of life force. Vortexes are concentrations of extremely high energy that originate from spiritual, magnetic, and often unknown sources. Many believe that proximity to a vortex will speed your spiritual transformation and some believe they are gateways to other realms. They’re places on the Earth where Divine light and Earth energy are available in an abundant supply… Places where the Earth is incredibly alive with life force energy. In Sedona, the vortex locations are both beautiful and spiritually supercharged. When you’re standing in the center of Sedona Vortex, the energy seems to spiral and swirl in towards the center, flowing light and Earth energy around the entire area… Sort of like a tornado. I personally feel amazing when I’m at a vortex. I feel the vortex energy, surging around me with love and light that tingles in my hands and flows throughout my body… It’s as if the Earth energy is actively urging me to step into my highest vibrational truth when I’m there. 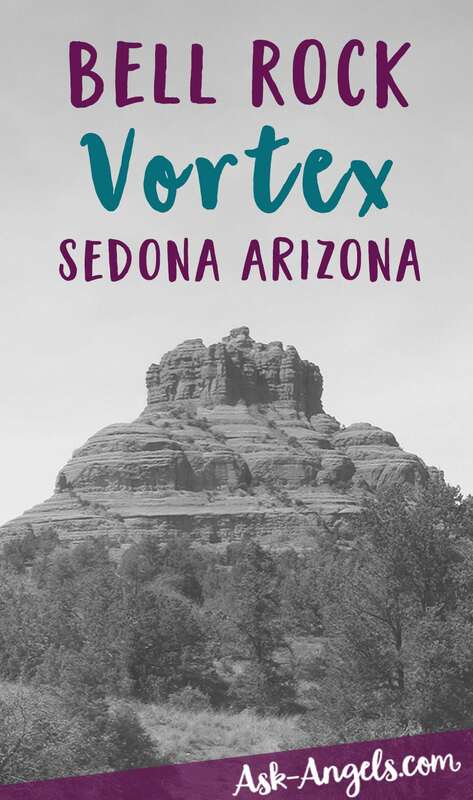 The most popular and well known vortex sites in Sedona AZ, and really all around the world seem to all be closely associated with ley lines and they seem to exist where there are strong gravitational anomalies. These environments create conditions where light can bend, gravity can be defied, plants can grow in unbelievable shapes (most often spirals), and people can feel any number of ways…. Strange, elated, light, tingly, joyful and happy, heavy, or extremely connected. You’re likely to see people doing their various spiritual practices – yoga, meditation, music, Reiki, Native American Ceremonies, etc. – near to the center of a vortex for these very reasons. All of Sedona has an incredible energy, and the Sedona area acts like a bowl where the light and vibrant Earth energy gathers. There are however four main Sedona vortex sites, where the energy is especially strong. In the main Sedona Vortex locations the energy flows in both from the Earth and Divine, and creates an incredible place of healing, spirituality… And love! The energy at these sites interact with each person who visits as an individual. Even if they have no idea of what is happening and think it’s all just made up fairy tales. However, if you are an energetically sensitive person, you’re highly likely to be able to feel, sense, and perceive the heightened vortex energies. Where Are the Main Sedona Vortex Sites? 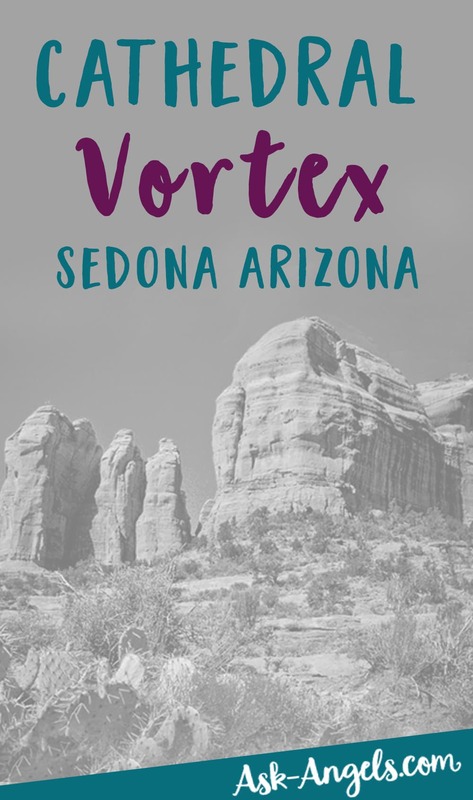 If you want to check out the Sedona Vortexes, there are four main vortex sites. In Sedona there are actually tons of different vortexes… But part of what makes the main four, well, the main four… Is their accessibility, and the fact that they’re easy to find, there’s not a strenuous hike involved, and they’re get to in a normal vehicle, and you can find them once you’re there. Boynton Canyon has a special place in my heart. This is the first Sedona Vortex I ever visited. When I got there, there was this guy playing the native American flute (which created this amazing music throughout the entire canyon)… He also gave me a red rock that had been carved into the shape of a heart, as he told me that the Earth loved me and delighted when I connected with her. Anyway… Even if you don’t happen to meet this amazing Sedona man when you’re at the Boynton Canyon Vortex, it’s well worth the visit. Parking is about $5 to by a Red Rock Parking Pass, but that will get you into the Cathedral Rock, and Bell Rock Vortex Parking lots as well. The balance between masculine and feminine energies at Boynton Canyon is amazing, and just being here can help to balance the masculine and feminine within you. How do you know if your masculine and feminine energies are balanced? As a general rule masculine energy is more meticulous, slow, structured and logical… Whereas feminine energy is creative, expansive, and fluid. Your emotions can be a good signal of where your masculine/feminine balance resides… If you find that you are quicker to be angry than afraid, or incredibly logical and structured you’re probably leaning more towards the masculine. However if you find you’re more emotional, sensitive, and intuitive… Well, that’s feminine energy. Why would you want your masculine feminine energies to be balanced? This balance leads to healthy relationships, a positive state of being, and strengthening the very things that make relationships work like commitment, integrity, honesty, openness, vulnerability, and communication. When you’re at Boynton Canyon the actual vortex energy can be strongly felt anywhere between the tall red rock to the East (called Kachina Woman) and the smaller unnamed rock to the west… I’ll go ahead and name this one Flute Rock… Since it doesn’t have an official name and I’ve have had the pleasure of enjoying the flute music from multiple musicians who have crawled up upon it. There’s also an incredible hike you do within Boynton Canyon past the Enchantment Resort and deep into the Boynton Canyon. The energy is also amazing here, and there are less people giving you a chance to really go within and connect with the magic of nature that’s present here. 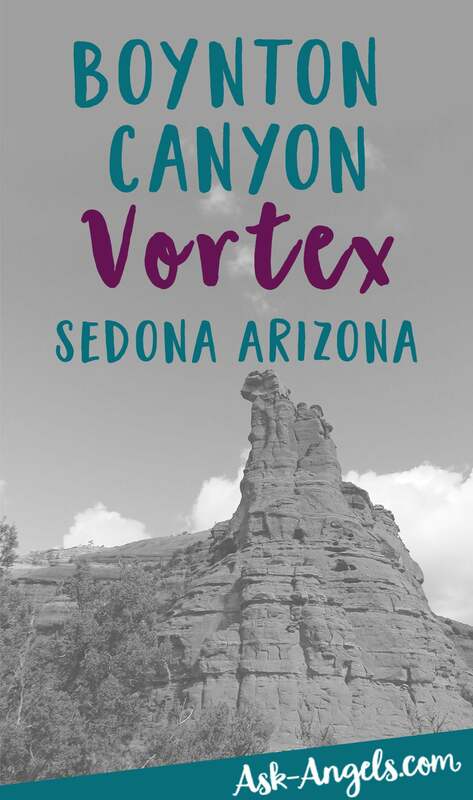 Really, the Boynton Canyon Vortex has something for everyone, and if you’re in Sedona I highly recommend you check it out! 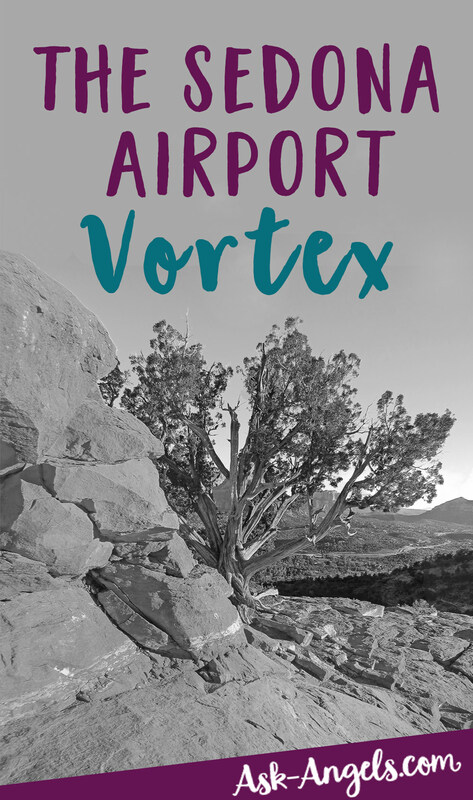 The Sedona Airport Vortex is the closest vortex to the center of Sedona, and so it’s also the most visited. There is also free parking there, so that may be a perk for you if you like free! There is a bit of a hike up from the parking lot to the actual vortex at the top of the Airport Mesa… But it’s a short hike (less than 200 meters) it’s somewhat steep but it’s well worth the effort. Once you’re on the top of the Airport Vortex, not only do you have an incredible view of the entire town of Sedona, you can also see Bell Rock due South, and of course, enjoy the incredible vortex energy that is there. Of course, the fact that this is the most accessible, free, and easy to climb to vortex means you’re rarely going to be alone here… And you may even encounter a person or two proclaiming their beliefs, doubts, and ideas that vortexes don’t actually exist (this happened once when I was at Sedona Airport Vortex). This is also a great place to see the twisted Juniper trees that are a common marker for the Sedona Vortex energy. If you want to make the most of your time at the Airport Vortex… I would recommend getting there early! There are many ways to get to the top of the mesa where the peak of the vortex energy can be felt. Just keep following signs towards the “vista” and you’ll find it! The Sedona Airport Vortex is well known to strengthen masculine energy. This equates to self-confidence, inner strength, a willingness to take risks, be decisive and stand up to any forces of intimidation, or manipulation. The vortex at Cathedral Rock is incredible. The actual rock formation that makes up Cathedral Rock is so beautiful… The pinnacles that make up Cathedral Rock are so large, beautiful and impressive it’s truly spectacular to behold. There’s a beautiful hike all the way up to the Saddle of Cathedral Rock, and if you have the time and energy, I recommend you hike up to it… This hike however does go up about 650 feet, and so even though it’s under a mile… It can get you huffing and puffing! The good news is… There’s another major vortex energy location near Cathedral Rock! Most people don’t realize that there’s an incredible vortex energy spiraling in, at a much lower, and easier to access location. When you’re on your way up the Cathedral Rock trail, look for “Buddha Beach” which is a red rock flat area that looks up at the main Cathedral Rock. People often build rock cairns here, which can be a good indicator you’ve found it. There’s also a ton of juniper trees that are spiraling upward around the area, further indicating the spiraling vortex energy. Buddha Beach is a great place to sit back, relax, meditate and soak in the vibes of the Cathedral Rock energies. Cathedral Rock is predominantly oriented to the feminine. Feminine energy has a creative, intuitive, energy that strengthens qualities like compassion, kindness, patience, and consideration, and the ability to nurture uplift and support others. Bell Rock gets its name because when you see it in the distance, it totally looks like a giant bell! But when you get close to the Bell Rock Vortex the entire area has an incredible energy. The cool thing about this vortex is that from the moment you park your car and step outside, you can start tuning into and feeling the vortex energy! When you visit Bell Rock Vortex there is some incredible hiking to be had. You can actually climb all the way up Bell Rock if you like climbing on top of rocks, and if you want to make the climb happen, expect a great energy, and a spectacular view! But honestly, you don’t have to climb up to get the full benefit from this place! The Bell Rock Vortex Energy is just as powerful, vibrant and concentrated when you’re just a little ways up Bell Rock as it is when you’re closer to the top! Energetically speaking Bell Rock is completely balanced between masculine and feminine energies and can help you tune into the balance between these two forces within yourself too! The Bell Rock Vortex is easy to spot and you can reach off of Hwy 179 just north of Oak Creek. I recommend parking at the North Bell Rock Parking Lot (you’ll need to buy a Red Rock Pass) because it’s much closer to the peak vortex energies when compared to the lot closer to Oak Creek. Ready To Tune Into The Sedona Vortex Energy In Person? Learn more about the 4 Major Sedona Vortex Sites Here! Really, all vortex energies are different. Some have a stronger masculine energy, while others are more resonant with the energies of the feminine. Also, scientists classify a vortex based on the direction of its flow of energy. An up-flow vortex exists when the energy is moving upward out of the earth, while an in-flow vortex occurs when energy moves inward, toward earth. Up-flow vortexes are the ones typically connected to spiritual growth. And many believe that vortex energy expands human consciousness. When you’re at a vortex, the energy can help you to feel exhilarated, vibrant, light, and full of potential and power. In-flow vortexes are often more introspective, and lead to a more reflective and inward feeling in humans. The energy is typically felt as being heavier and for those who are not properly spiritually prepared, with a strong introspective foundation; the first feelings that arise near an in-flow vortex are those of fear, because that is exactly what is coming up to be resolved and released. What Does a Vortex and Chakra Have In Common? In case you need a refresher, chakras are the energy centers that regulate the energies organs and more within your physical body. Within the physical body, the chakras actually act like small vortexes. Chakras aren’t traditionally thought of in this light, but really, the connection between the movement of energy within the chakras and the movement of energy in the larger vortexes found in nature, it’s worth noting. Remember that chakras are energy centers in your body, which align with your spine and which govern various organs and emotional regions. In Sanskrit, chakra actually means wheel and these energetic signatures are almost always described as spinning wheels or spiraling vortexes. When considering practices you can do to tap into the awesome power of vortexes, don’t forget the opportunity you have here to cleanse your chakras! All vortexes are concentrations of vital life force energy and regular cleansing and connection of your life force energy is essential are vital for growth. Want to learn more about cleansing your chakras? Click Here for the Chakra Balancing Meditation! 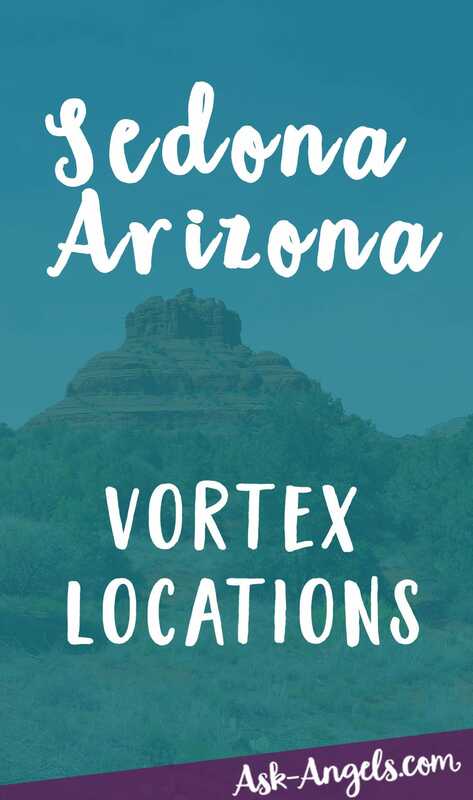 When you’re at a Sedona Vortex location (or an area you think might be a vortex near you) look for a spot where you can have some privacy or at least some distance between you and others. It’s a good idea to take a few steps off of the main trail, and find a place where you won’t be disturbed by other hikers and vortex energy explorers. Lie or sit on the ground and take some deep calming breaths. As you simply relax and breathe, let yourself sink into the natural beauty of your surroundings and focus your awareness within as you also become aware of your energy as one with your surroundings. Feel your energy ground to the earth, and then take some time to simply breathe, observe, and become aware. Get a Vortex Meditation with Archangel Metatron here! It’s a great opportunity to clear your mind and ask a question. Next just breathe, be, and tune into the INCREDIBLE vibration! Once you’re in this heightened space, connected to the vortex energies and connected to your angels, you can also tune into Divine and angelic guidance. Really, you can ask a question about anything you would like to know about your life, challenges, relationships, and more! Don’t censor the question, or search through your mental files for a question your mind deems as “worthy to ask” just allow yourself to freely see what questions come up for you. Continue focusing on your breath while you stay tuned in to how your body feels. What physical sensations do you notice once you ask a question? Be aware of your thoughts and feelings you tune into after you ask your question. At this point, some people will receive a direct answer through intuition, channeling, or internal guidance, some may receive images or impressions, and some people who have a tendency toward clairgognizance many simple “know” the answer all of a sudden. Listen to the thoughts and feelings that seem to relate to your question and allow yourself to stay open to what you are being shown through the lens of the vortex, the guidance of your angels and your direct connection to the Divine. If you feel that you aren’t being guided at this time, go back to focusing on your physical sensations and see if you are able to intuit how the sensations might relate. It’s also a perfectly acceptable use of vortex energy to simply be, breathe, and tune into the energy without receiving inspiration or guidance. Your experience at a vortex depends completely on where you are now, what your intentions are and where you are headed. How Will You Be Affected By Vortex Energies? The Sedona Vortex Energy, and really all vortex energies have a way of increasing, amplifying and highlighting your present state of being. In other words, if you’re happy, joyful and relaxed when you visit a vortex, this energy will be highlighted and increased. On the other hand, if you’re frustrated, agitated, or depressed, these energies will also be amplified. This is one of the main reasons people don’t think they’re feeling vortex energies… Because the energy is just amplifying their natural state! That being said, it’s wise to be mindful when you visit the Vortexes, because if you don’t you may receive lessons (in not the most enjoyable ways) about just how powerful your manifestation abilities can be…. Aka when you’re focusing on what you don’t want the vortex can draw more of this to you. Alternately, if you’re in a state of joy and love… This is a beautiful state to be in and the energies of the vortex can amplify this energy of joy and love allowing it to ripple outward positively throughout your entire life! Once you know what to look for, locating a vortex is relatively straightforward. There are tons of documented vortexes around the world which is a great place to start. And really so many more! I’ve even found a vortex just east of Albuquerque New Mexico (where I’m originally from) in the Sandia Mountains… Unnamed, unknown, but an incredibly powerful, healing, uplifting and sacred energy. Although there are areas on the planet that have a stronger, or well-known vortex energy than others, vortexes can be found just about everywhere. 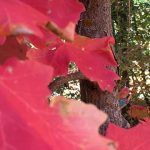 Take a walk in the woods near your home or in a park in the city you live in, and with acute awareness you’ll likely begin to notice the bark on certain trees is a bit different than the rest. If you see bark on a tree that is spiraling up the tree trunk, it’s likely that you’re inside a vortex. Trees are incredibly sensitive to vortex energy. You may also find that you feel incredibly uplifted in a certain place(this is another common indication that you’re inside of a vortex). When you see, feel or sense signs that you’re in a vortex… Pay extra attention and start to look around for other clues like a near perfect circle on the ground, or plants that all seem to grow in a certain direction that is either to the left or to the right. Some people’s front lawns even have spots that grow incredibly lush and green grass, while the surrounding area is either average or lacking. These spots that are incredibly vibrant and lush are likely filled with vortex energy. So Why are Vortex Locations Not More Well Know? Most people don’t notice the presence of vortex energy because the energies tend to blend into the normal state of consciousness for an individual, or in other words the mind makes an automatic rationalization for what it sees. And then when you are near a vortex… You can benefit from the energy be becoming aware, quieting your mind and tuning in! Get out there… Explore… Open Your Heart… And Enjoy!